A suit under the federal False Claims Act allows people who have insider information of fraud against the Government, known as a "federal whistleblower ", to file a suit to help stop the perpetrators from defrauding the Government. The False Claims Act seeks to deter fraud against the Government by providing for penalties of up to three times the amount of the fraud in addition to fines of $5,000 to $11,000 per violation. 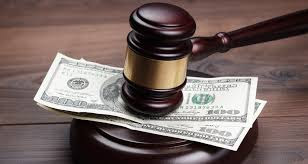 For example, It is estimated that the United States has collected almost $8 billion in fines and penalties in False Claims Act cases since 1986. An act is done knowingly and wilfully if it is done voluntarily and intentionally, and not by mistake or another innocent reason. Thus, an individual can be found guilty for making a false statement only if the individual knew the statement was false at the time it was made. An individual can be found guilty for making a false claim or statement even if the claim or statement is not made directly to a governmental department or agency. That is, a false claim or statement can be made to a third party as long as it involves a matter within the jurisdiction of a governmental department or agency. An individual can be found guilty for making a false claim or statement even if the government was not deceived by the falsity. An individual can be found guilty for making a false claim or statement even if the government did not rely on the falsity. An individual can be found guilty for making a false claim or statement even if the government did not suffer a loss in reliance on the falsity. For an individual to be found guilty of making a false claim or statement, the claim or statement at issue must have been capable of influencing the government entity involved. Laws that prohibit schemes to obtain money or property from governments by means of false or fraudulent pretences involving government contracts. There are many types of fraud perpetrated against the federal governments, including, but not limited to, contractor fraud, defense industry fraud, healthcare fraud, environmental fraud, grant fraud, defense industry fraud, government sales fraud, welfare fraud, healthcare fraud, Medicare fraud, Medicaid fraud, off-label prescription use fraud, tax fraud (in excess of $2 million), and procurement fraud.